Katherine Lane Weems was the owner of may Dachshunds during her life. 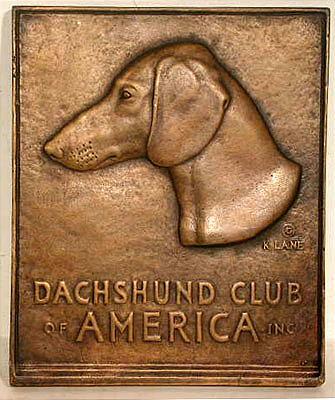 She was commissioned to do this plaque in 1933 for the Dachshund Club of America. It was cast in two sizes. This is the rare larger size.